More often than not, my favorite response to every question is, “I’ll Google It” or “I can Google faster than you”. Very often I run across a word that I’ve never heard before and have to google the definition. the design and production of materials, structures, and systems that are modeled on biological entities and processes. Who knew that Nature & Air Conditioning had so much in common. Here is an image of termite mounds that have survived the worst of blistering hot conditions. Thanks to google I found termites have had quite the influence over our ventilation, heating, & cooling. Many species of termites in the world live in termite mounds. These termite mounds are made up of soil, mud, chewed wood, saliva, and feces. Oddly enough, the combination make the mounds super strong & even fire resistant. The mound will consist of “chimneys” that allow warm air inside the mound to vent upward and outward. Apparently, termites are quite smart. They open and close a series of vents throughout their mound to allow airflow and circulation, keeping the mound from overheating. Any of this sound familiar? How amazing that these annoying creatures have inspired our ventilation! Each week, we try to do a #MCM or #WCW post. What does that stand for? Man Crush Monday and Woman Crush Wednesday! In the social media world, tons of people post their “crushes” (or people they are fans of) on Mondays and Wednesdays using these #hashtags. Happy Labor Day to you! This week, we’re spotlighting someone super special – Man’s Best Friend! 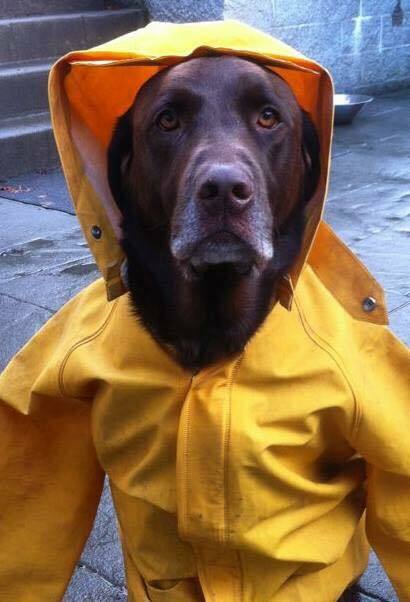 As you may or may not know, recently everyone celebrated #NationalDogDay. I had the pleasure of coming across an amazing company that is made up of three family members. I think you will especially be intrigued by the 3rd family member. Get ready for a cuteness overload. 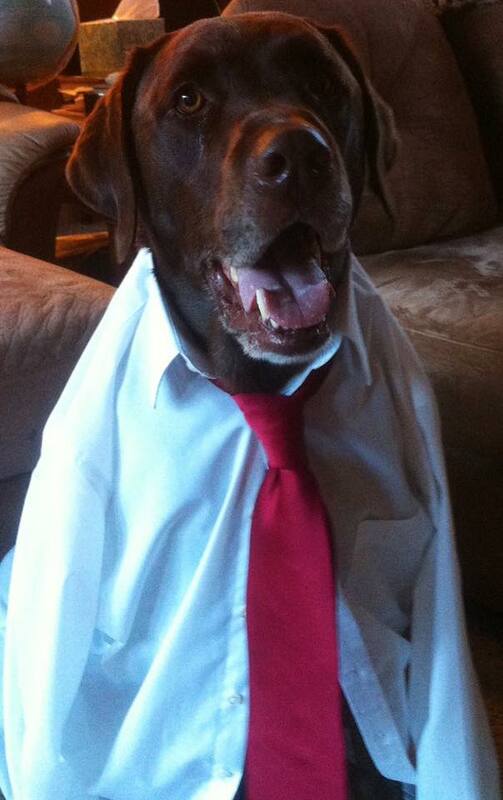 Everyone say hello to OSO Handsome – The Boss! 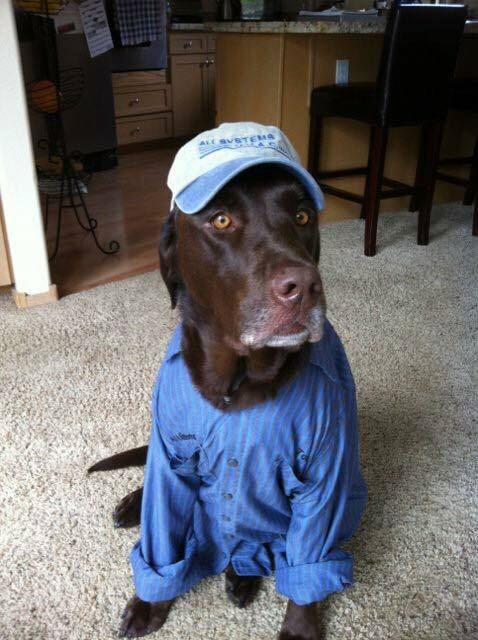 I would say that All Systems HVAC Inc. has the best Boss in the world – 8 year old, chocolate lab – Oso. When Stacey Hawks (Co-Owner) decided to join the company back in 2012. Oso and her were a package deal. Stacey has had Oso since he was 9 weeks old. Since then Oso has became the family & company jewel. All Systems HVAC, Inc. has been in business since May of 1994. They serve Douglas County, Oregon for residential service and work all over the Southern Oregon commercially. All Systems HVAC Inc. is a family owned, small business providing maintenance, service, repair and replacement of residential and commercial heating, air conditioning and commercial refrigeration systems. While Oso may not get to go on the job sites like Tom (Owner) does, he is the faithful office companion and under the desk foot warmer. By the looks of it, Oso enjoys & is quite patient with the donning of outfits but he put all fours down in opposition when Tom tried to put the beekeeper suit on him. It seems Oso is not a huge fan of bees and watches them from afar! Of all the companies I’ve had the honor of getting to know over the past 6 years, Oso has to be my favorite story. A huge thanks to Stacey Hawks for sending over the pictures and information to feature All Systems HVAC & Oso on our blog. You can keep up with All Systems HVAC Inc. & Oso by liking their Facebook page. Want to be featured in an upcoming client spotlight? We’d love to spotlight you and your company! Send us an email at social@cleanac.com or comment below with your contact information! Business Survival and Sustainability Things to Know! Tips from "The Girls"
Do you have trouble finding HVAC news, tips or awesome content online? You’re not alone. When I first started working here at Controlled Release Technologies (a manufacturer of HVAC maintenance products), I couldn’t find much at all. I had to start from scratch! But I’ve since learned there are tons of heating and air companies online, and many of them post great stuff on a regular basis. So where are they? From my experience as an HVAC social media specialist, they’re mainly on Twitter and Facebook. Now, if you’re new to the HVAC industry, or just to social media and digital marketing, you might have a hard time finding these HVAC companies and associations online. The truth is, despite the fact that social media is super important for HVAC professionals, tons of companies are still behind on the curve. I can’t tell you how many times I’ve come across a dead Facebook page or an inactive Twitter account. That just means the customers who are looking for your company can’t find you. Or they’ll think you’ve closed your doors. By the way, consumers are 80% more likely to trust a company who has a social media presence than one who does not. So. Who’s doing it right and how can you find them? Twitter: We’ve made a list on Twitter of over 200 amazing companies who share great stuff for customers and other businesses every day. Subscribe to it and bookmark the page! I use it as my primary Twitter timeline for CRT. Newsletter: We send out a monthly newsletter to share industry news, cool social media posts, HVAC humor and more. This is a great way to find other news and other people who are sharing cool stuff. Subscribe here. Blogging: Subscribe to our blog to see our posts on HVAC maintenance, energy saving tips and more. We share other HVAC bloggers’ work, so you won’t just see us there! Facebook: We are very active on Facebook in sharing educational, interesting and funny posts! And we’re connected with a lot of other HVAC companies across the country. We share their posts regularly. Join the conversation here. Hot tip: Infographics are the bomb when it comes to Facebook. If you’ve felt like the HVAC online world is quiet, you’ve just been in the forest. Trees might be falling, but nobody’s hearing them! Come on into the HVAC city. Join the conversation. It’s pretty cool here. This post was written by our social media specialist, @MollyATessnear. 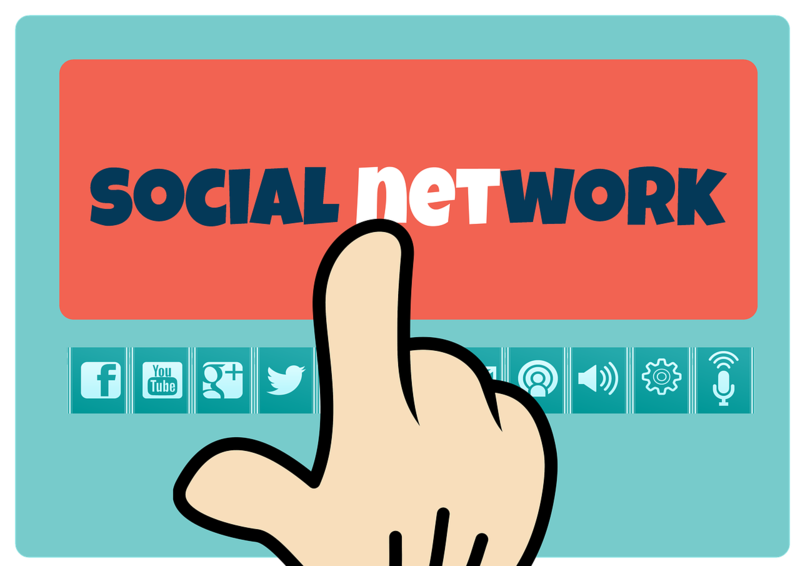 Do you manage social media for your HVAC company? What questions do you have? What are your best tips?